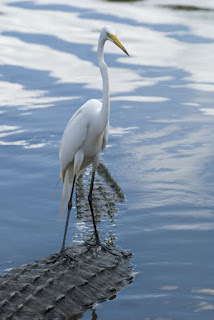 This past April this Traveler found herself exploring the area around Orlando, Florida. 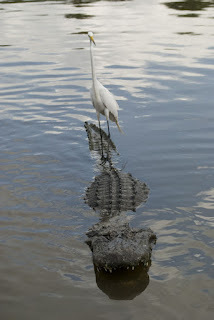 Believe it or not, this was my first trip to Florida (I have been to the Miami International Airport numerous times but never managed to make it any farther into the state). 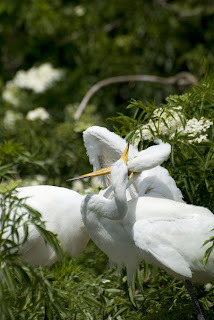 It was nesting season. 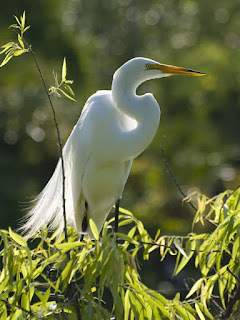 It was spectacular! 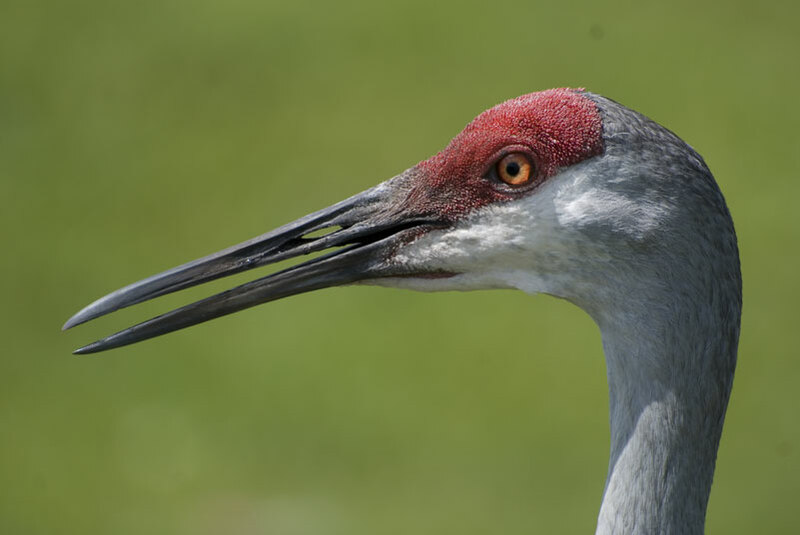 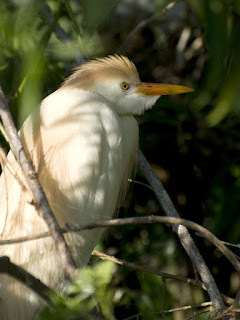 This is the first time I have set eyes on this bird. 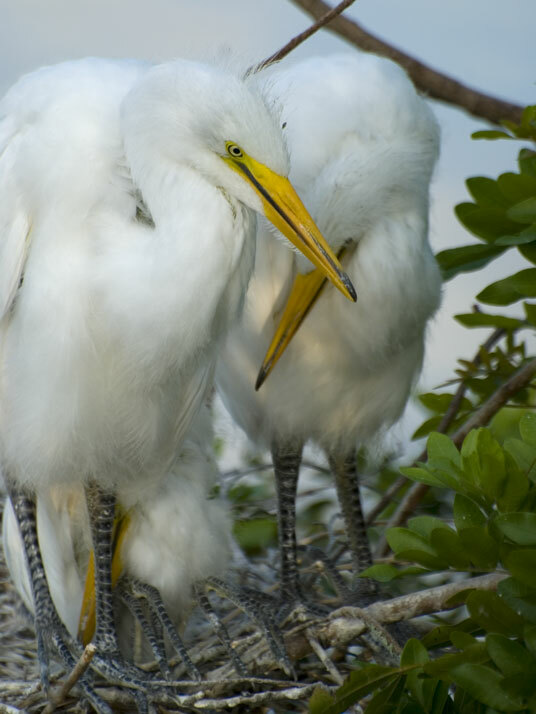 These two were hanging out in a parking lot. 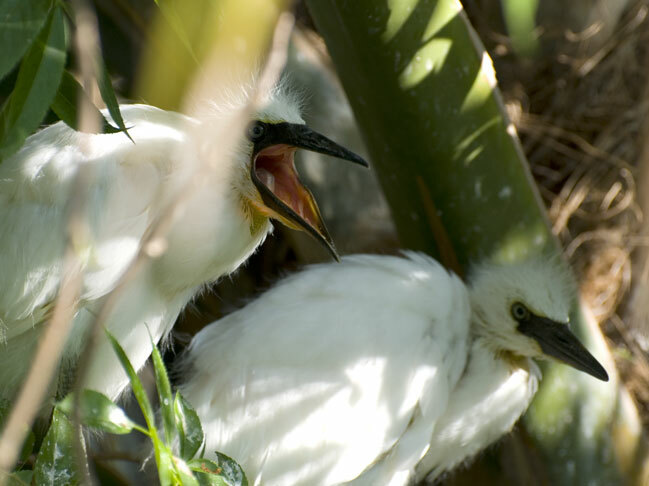 These photos were taken at Gatorland. 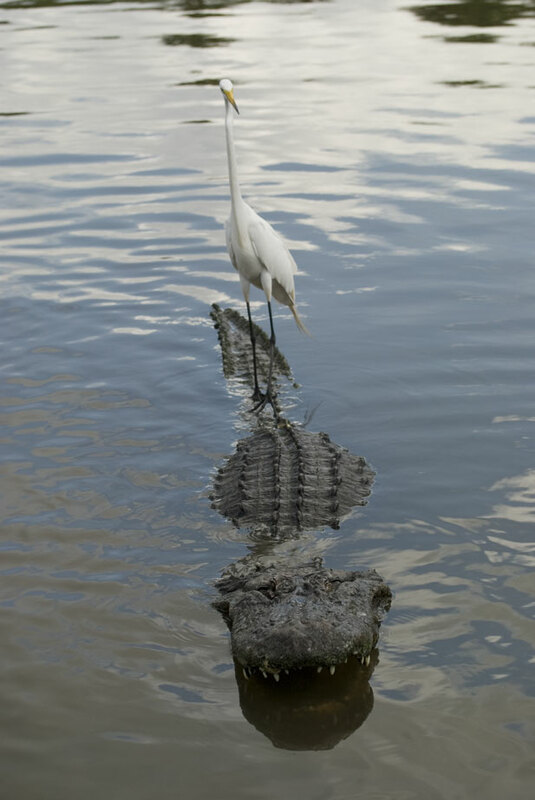 The birds nest there because the alligators keep away other predators that would otherwise prey on the birds' eggs and young. Gatorland offers photography passes allowing early entry and staying after hours on certain days. Young egrets. 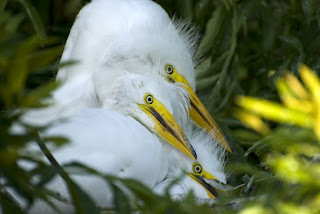 There are actually three. 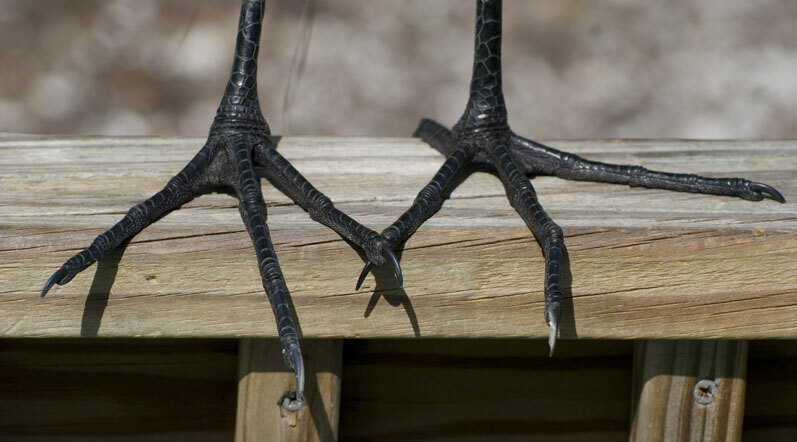 Count the feet. 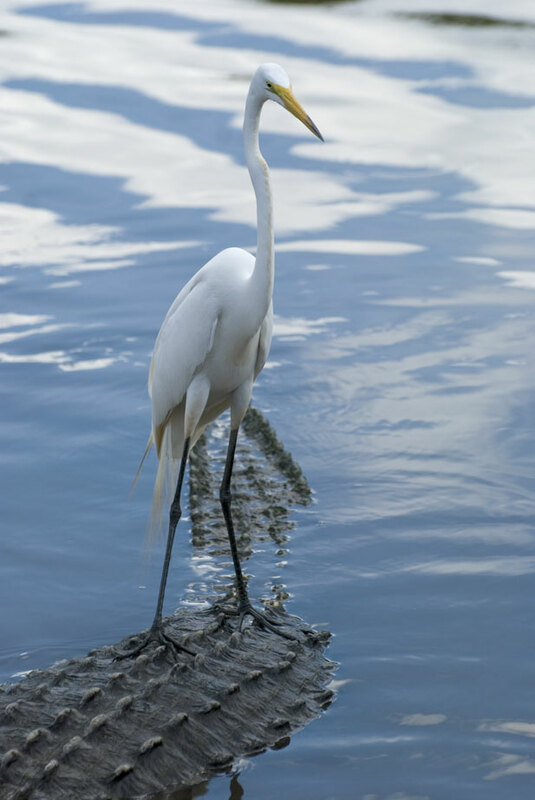 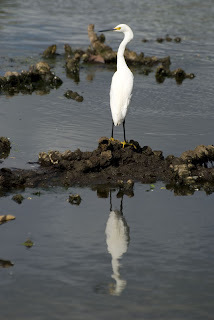 That is not a rock that egret is standing on. 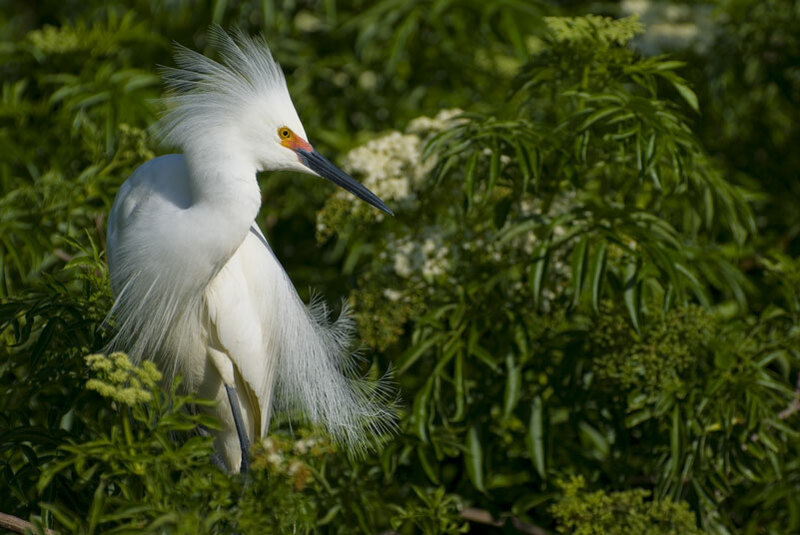 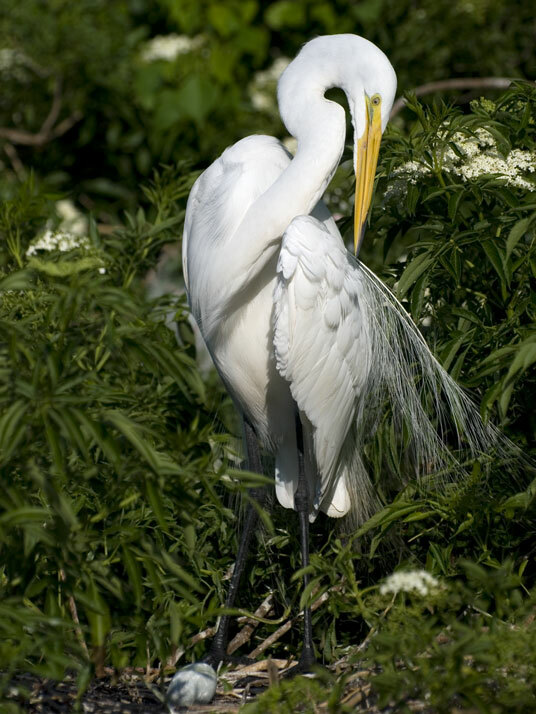 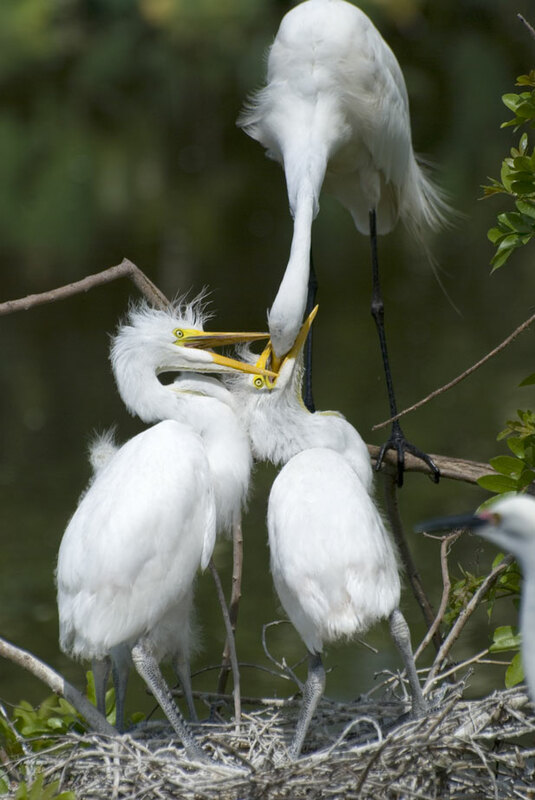 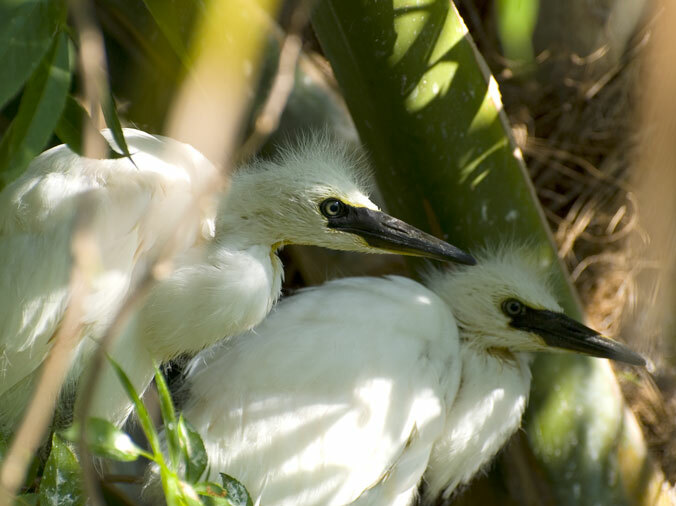 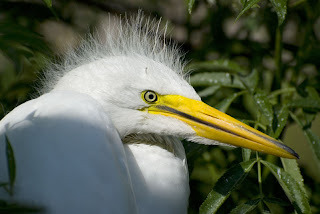 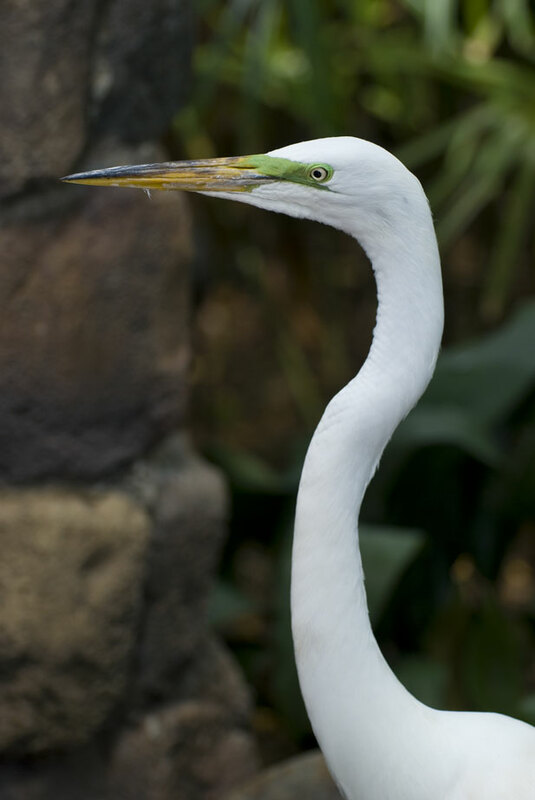 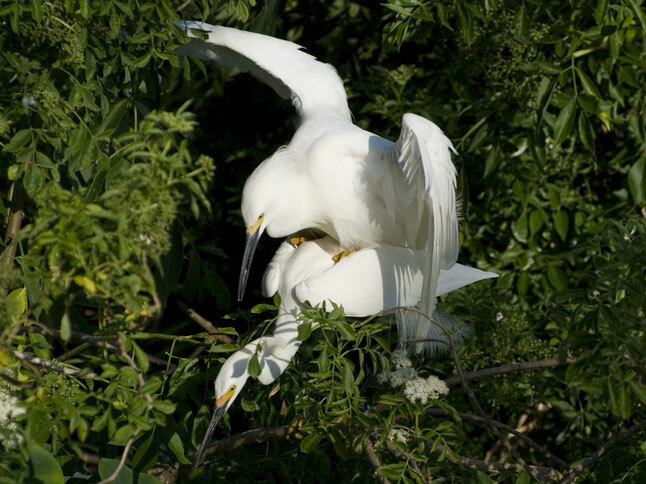 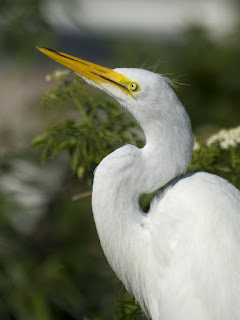 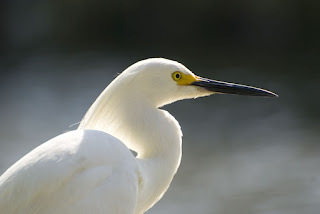 At least three egret species nest at Gatorland. Here are the smaller snowy egrets. These "little" guys are fun to watch. 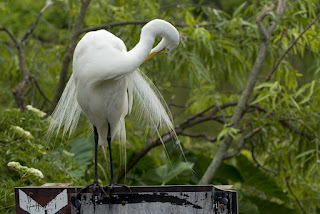 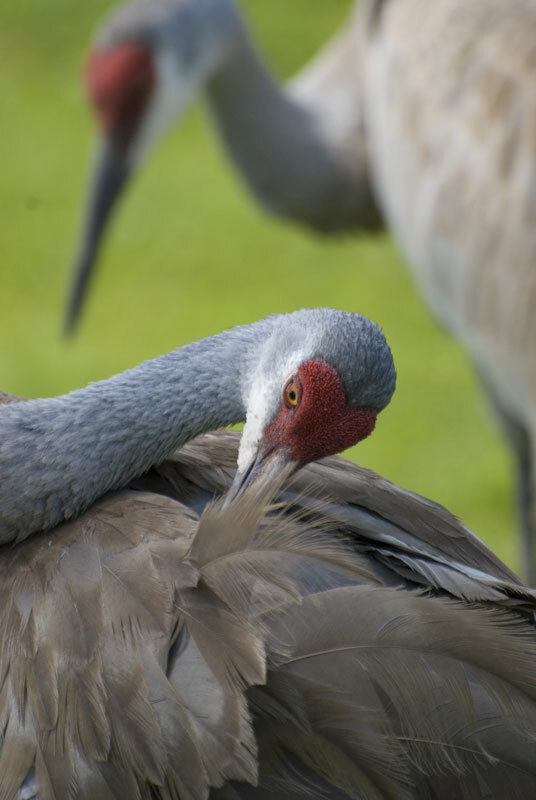 They have great plumage displays. Just in case you wanted to see what the inside of a baby snowy egret's mouth looks like. 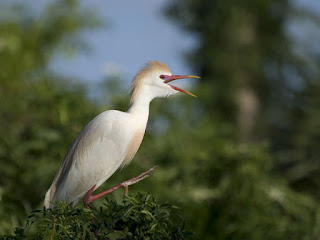 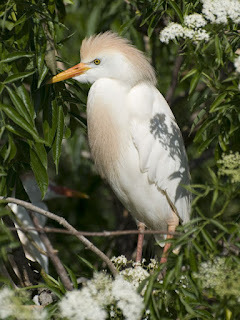 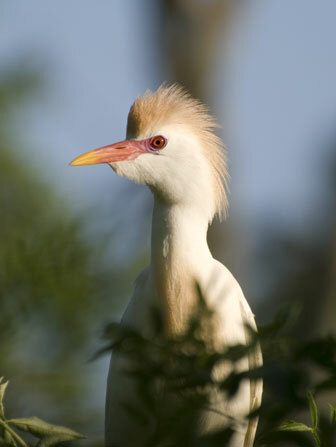 Cattle egrets can be found on six continents. 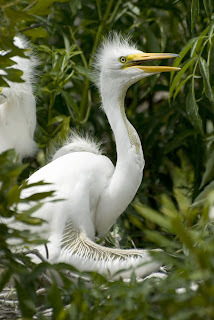 To be continued in next post...The Herons of Gatorland.